The automatic drug infusion in medical care environment remains an elusive goal due to the inherent specificities of the biological systems under control and to subtle shortcomings of the current models. The central aim of this chapter is to present an overview of soft computing techniques and systems that can be used to ameliorate those problems. 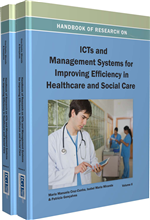 The applications of control systems in modern medicine are discussed along with several enabling methodologies. The advantages and limitations of automatic drug infusion systems are analyzed. In order to comprehend the evolution of these systems and identify recent advances and research trends, a survey on the hypertension control problem is provided. For illustration, a state-of-the-art automatic drug infusion controller of Sodium Nitroprusside for the mean arterial pressure is described in detail. The chapter ends with final remarks on future research directions towards a fully automated drug infusion system. With the constant evolution of computing technologies, the range of problems from the medical field that can be approached and effectively solved increases accordingly. The complexity inherent to Medicine and its related areas of knowledge raises algorithmic construction difficulties, creating challenging problems, cf. (Alexander, 2010; Eoyang, 2007). There is a large range of system solutions provided by computer technologies. These include management tools, patient identification, and communication methods, just to mention a few. While some of these systems are quite simple, in applications such as automatic drug infusion we often benefit from very complex and advanced computer solutions. The adaptation of the protocol to each individual is often a very challenging task for health care professionals (Fazendeiro et al., 2007), where they need to analyze multiple sources of data in order to achieve the desired patient state. This situation is demanding and requires a great deal of attention and skill from the health care professionals in the treatment of their patients. One of the major theoretical contributions that allowed automatic drug administration systems to be developed is control theory. Control theory (Koivo, 1981; Sheppard, 1980) is an interdisciplinary branch of engineering and mathematics, which studies the behavior of dynamical systems. In a very simple manner, when one or more output variables of a system need to follow a certain desired output value over time, a controller manipulates the inputs to obtain the desired effect. Control systems are ubiquitous in the health care, e.g. (Lichtenstein 1984; Kami et al. 1996; Jacobsen et al. 1996; Spratt 1997; Ritchart et al. 1998), ranging from simple controllers implemented only by hardware, to more complex controllers implemented via hardware and/or software. Some day to day examples of control systems include a boiler regulator of water temperature, the pressure controller of the cuff in an automatic arterial pressure meter, the humidity controller in dehumidifiers and a pacemaker beat controller. There are lots of important contributions of control theory to the health care system, as can be seen from the applications found in the literature, cf. (Carver& Scheier, 1982). While the examples given above may not be strictly medical related applications, they serve their purpose on illustrating some of the most basic characteristics of control systems. More complex controllers, related to automatic drug administration systems, provide an interesting application of these systems to medical problems. Since the beginning of scientific studies of the human body, researchers began to create mathematical models of the various body function systems. Nowadays these mathematical models describe in a reasonably accurate form the way that our body operates (Montani & Vliet, 2009). The pharmacological response can be also mathematically modeled, making it possible to be simulated through computerized means. The explicit knowledge about the various functional systems that constitute the human body has enabled to address the challenge of automatic drug administration from various directions in the last decades. Soft Control: An automatic control system incorporating soft computing methods. Evolutionary Computation: Consists on adaptive robust methods with application in search, optimization and learning problems. As the name suggests, these methods were inspired by the principles of genetics and natural evolution of biological organisms. Fuzzy Logic: Fuzzy logic is a problem-solving methodology that is inspired by human decision-making, taking advantage of our ability to reason with vague or approximate data. Model-Based Control: An automatic control based on control theory, which relies heavily on a good mathematical model that describes the system to be controlled. Guyton’s Circulatory Model: A mathematical circulatory model created by Guyton and his colleagues in 1972. This model is updated when new discoveries regarding the circulatory system are made in the medical field. Artificial Neural Networks: Are mathematical or computational models that are inspired by biological neural networks such as the brain. Modern neural networks are non-linear statistical data modeling tools and are usually used to model complex relationships between inputs and outputs or to find patterns in data. Soft Computing: Soft computing encompasses a set of computational techniques and algorithms that are used to deal with complex systems. Soft computing exploits the given tolerance for imprecision, partial truth, and uncertainty for a particular problem.